The Church of England is creating a new bishop specifically to reach out to black, Asian and minority ethnic people and to drive cultural change in Leicester, one of the UK's most diverse cities. The diocese of Leicester has petitioned the monarch, Queen Elizabeth II, for permission to create a new see, and expects that a new suffragan bishop of Loughborough will be installed by the end of the year, The Guardian newspaper reported. 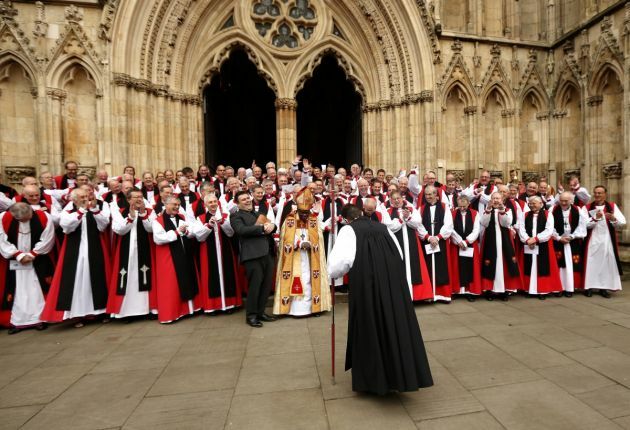 The church is the State church of England and will appoint the new bishop to reach out to ethnic minorities because it is seen as too "quintessentially English," The Daily Telegraph reported. The Church of England, known sometimes as the C of E, is the State church of England and the Archbishop of Canterbury, Justin Welby, is the most senior cleric, although the monarch is the supreme governor. The Church of England is also the mother church of the 84-million strong international Anglican Communion. It dates its establishment as a national church to the 6th-century Gregorian mission to Kent led by Augustine of Canterbury when the church was attached to the Church of Rome. Despite the title, the new bishop will be based mainly in Leicester, one of the first majority black, Asian and minority ethnic (BAME) cities in the Britain, In the 2011 census, only 45 percent of the city's population identified as white British. "The diversity of the city is not reflected in our churches," Martyn Snow, the bishop of Leicester, told the Guardian. "The majority of people going to Anglican churches are white British, while there are more than 100 BAME churches, mostly neo-Pentecostalist." He said: "If we truly want to be inclusive of all who live in our parishes, then we have to heed the cultural changes and challenges within our cities." Snow noted, "We're going to have to make some cultural adjustment. The C of E is seen as quintessentially English, but we have a lot to learn from other cultures." his month, the first black bishop to be appointed by the church in 20 years, Nigerian-born Woyin Karowei Dorgu, was consecrated as Bishop of Woolwich.